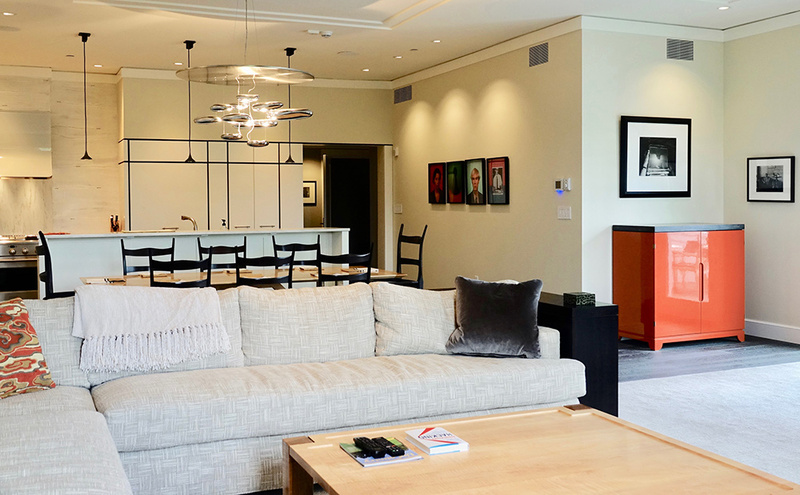 With the completion of 19 luxury condominiums at Canyon Ranch Lenox, we were hired by one couple to extend the ease, relaxation and clean lines of the Canyon Ranch Lenox experience into their new residence. These wonderful clients we are not flashy or dramatic, so we adopted a clean, open-plan approach that gave room for some understated but high-impact elements. We used lighting, the color black and some selective bright color to create an inviting space that can swing from informal to elegant. Black is our go-to color for making “negative space” work effectively. 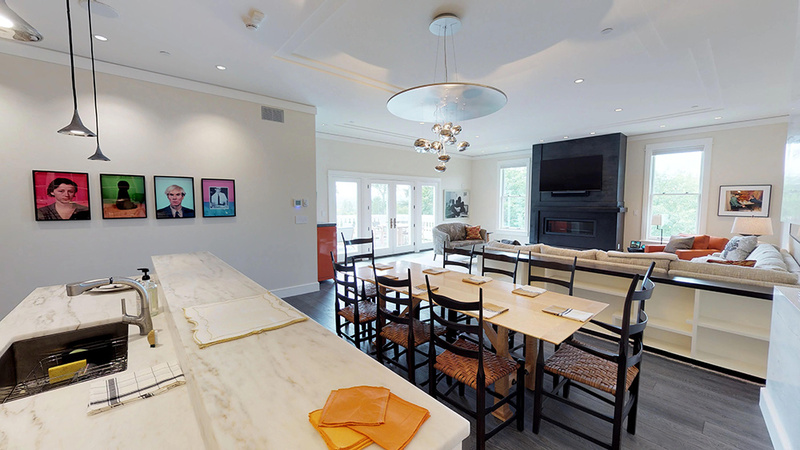 The black-trimmed artwork, television and fireplace add definition to the living area. 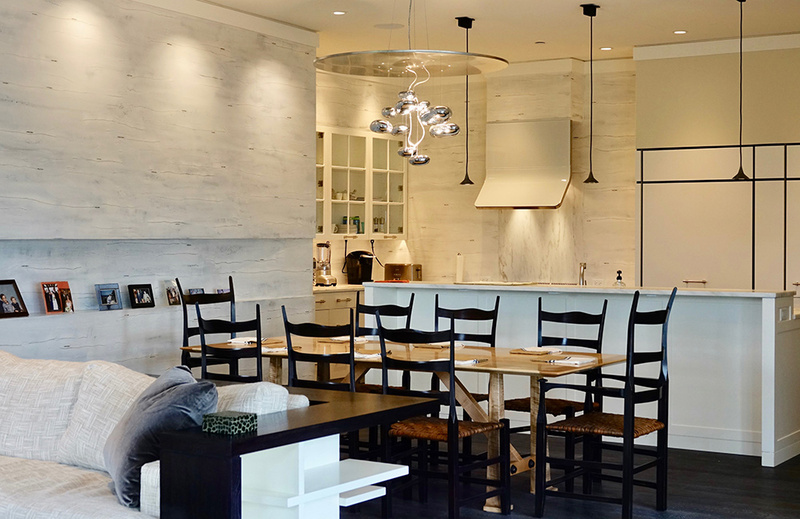 The black dining chairs and black trim in the kitchen area help to subtly define the open room’s boundaries and lines. 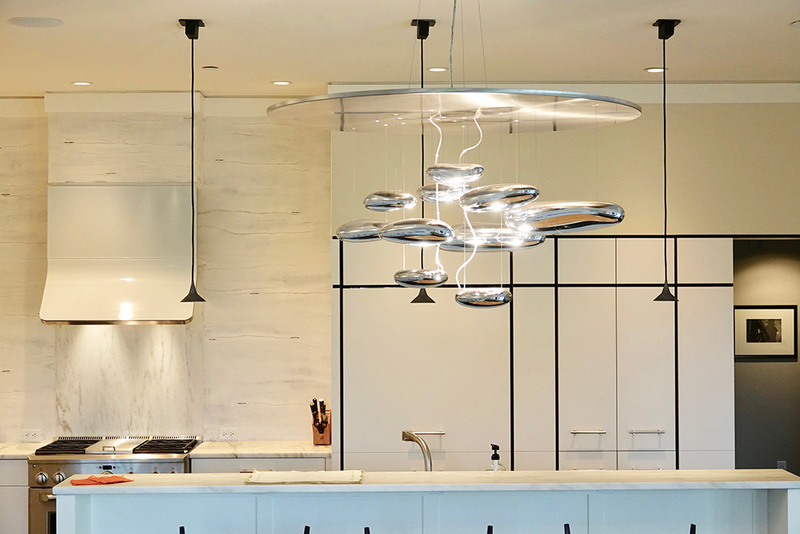 We chose lighting from one of our favorite designers, Artimide, for the dining table fixture and for fixtures elsewhere, including over the kitchen island. 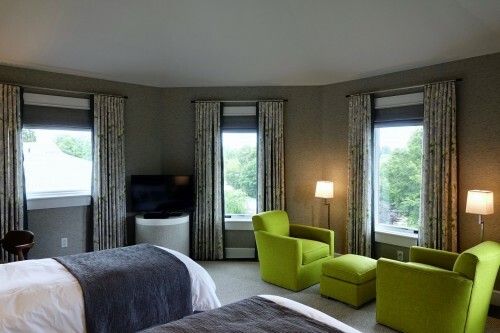 In the bedrooms, the beds and furnishings were custom-designed by our studio. 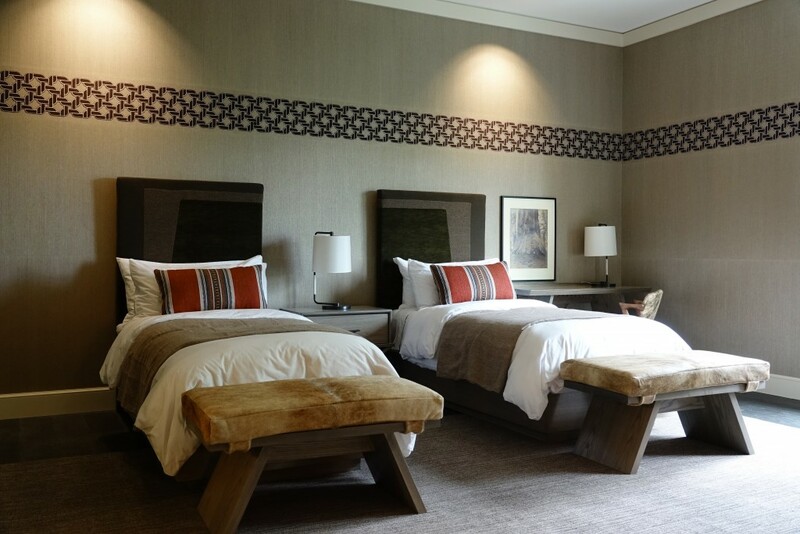 Wallcoverings in each bedroom are actually grasscloth or grasscloth with silk. 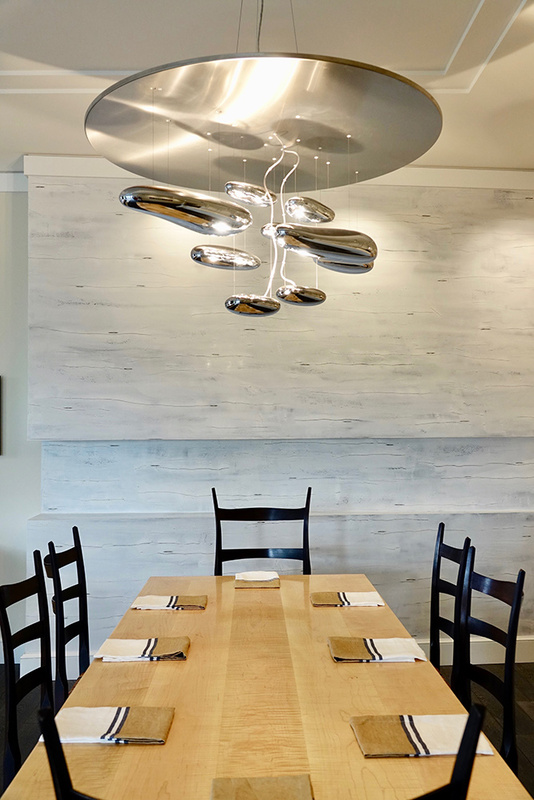 We are partial to designs by Pierre Frey and Phillip Jeffries. 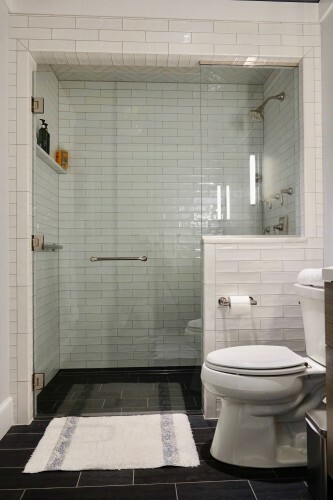 Classic subway tile works well in this bath. 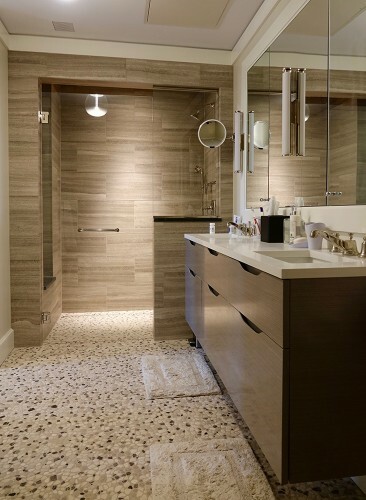 Trabertine tile, with stone tile flooring, in the master bath.